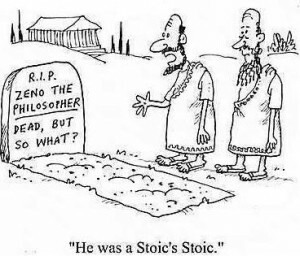 Why do people think Stoicism has no emotions? It is recognition of emotion, acceptance of emotion, finding and cutting of negative emotional ties, recognizing that the good things in one’s own life depend not on others but on one’s self. People who reject their own responsibility for their emotions think themselves ruled by them, and therefore they are out of control of their own lives. They take offense at everything because of their victimhood. Of course it’s better to have friends, to have loves, and to be loved. Yet without those things, life does go on (as I’ve learned the hard way). We take donations through Bitcoin and PayPal.